Matt Cameron, of Soundgarden, right, hugs a guest at a funeral for Chris Cornell, pictured right, at the Hollywood Forever Cemetery on Friday, May 26, 2017, in Los Angeles. 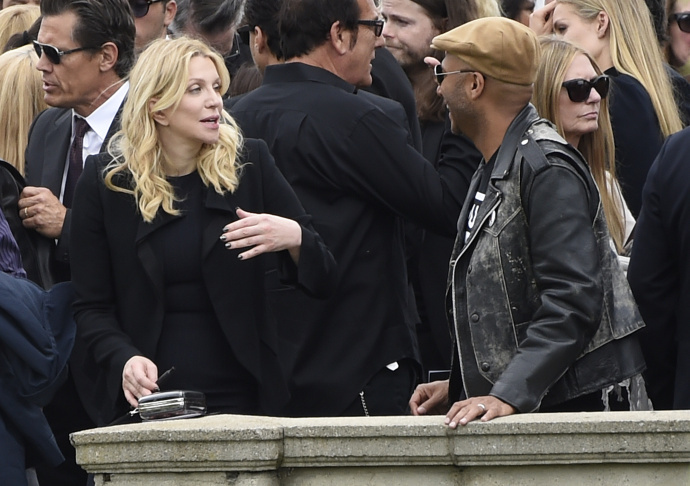 Courtney Love, left, and Tom Morello attend a funeral for Chris Cornell at the Hollywood Forever Cemetery on Friday, May 26, 2017, in Los Angeles. 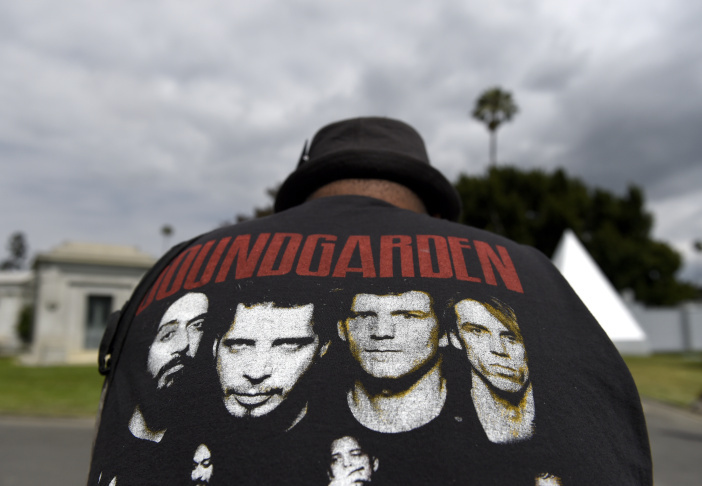 A fan wearing a Soundgarden T-shirt reacts following a funeral for Chris Cornell at the Hollywood Forever Cemetery on Friday, May 26, 2017, in Los Angeles. Chester Bennington, of Linkin Park, performs "Hallelujah" at a funeral for Chris Cornell at the Hollywood Forever Cemetery on Friday, May 26, 2017, in Los Angeles. 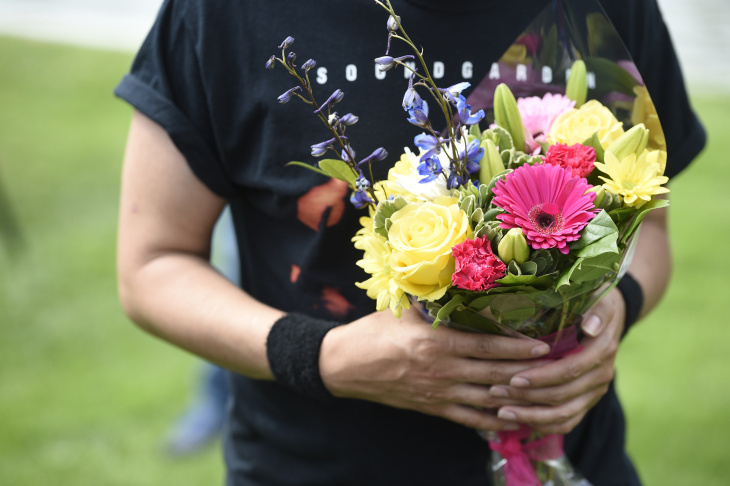 A fan carries flowers to the gravesite of Chris Cornell following the late singer's funeral at the Hollywood Forever Cemetery on Friday, May 26, 2017, in Los Angeles. 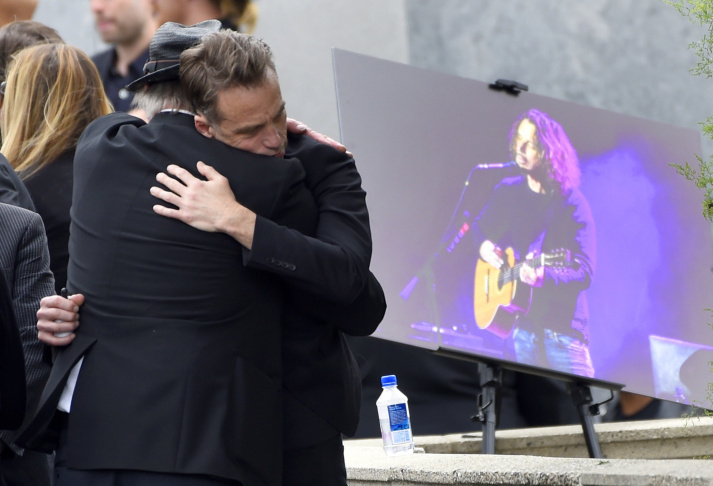 Music's elite and Hollywood stars remembered Chris Cornell at a somber memorial service Friday that focused on the Soundgarden frontman's love of family and friends as much as it did on his musical achievements as one of rock's leading voices. "Chris was as melodic as The Beatles, as heavy as Sabbath and as haunting as Edgar Allan Poe," Tom Morello, Cornell's Audioslave bandmate, said during his eulogy. "The demons he wrestled with were real, but he harnessed those demons and rode them like a mother-flipping chariot of lightning strapped with Marshall stacks to make some of the greatest rock 'n' roll of all time." 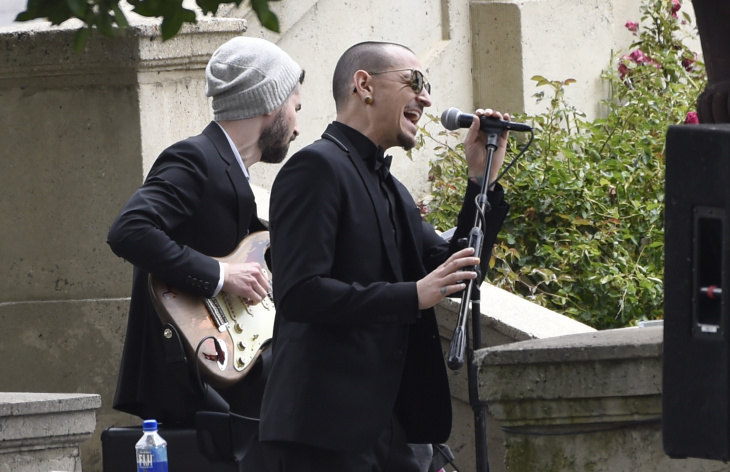 Linkin Park singer Chester Bennington and guitarist Brad Delson performed Leonard Cohen's "Hallelujah" for the crowd of mourners, including Brad Pitt, Pharrell Williams, James Franco, Christian Bale and numerous members of rock royalty, many of whom were moved to tears. Four large portraits of Cornell were on display on a dais where Morello, actor Josh Brolin, Pearl Jam bassist Jeff Ament, film producer Eric Esrailian and Cornell's Soundgarden bandmates Kim Thayil and Matt Cameron delivered eulogies under overcast skies at Hollywood Forever Cemetery. They all spoke of the rocker's compassion and his delight in his three children. Cameron said he and Cornell had "so many normal dad conversations" about the Cornell kids: Christopher, Toni and Lily. "Losing my brother and artistic soulmate will always pale in comparison with you three kids losing your dad," Cameron said. "Let it be known that I am here for you and will forever be in your lives." Linda Ramone opened the service with word that Cornell was buried next to her late husband, punk rocker Johnny Ramone, whose headstone features a statue of him playing guitar. Cornell's grave marker, decorated with bouquets of flowers and several red roses, reads, "Voice of our generation and an artist for all time." Cornell's music played before the hourlong service, and afterward as guests visited his grave site in the cemetery's Garden of Legends section. 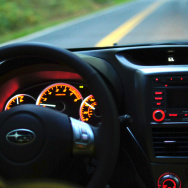 Among those paying respects were Lars Ulrich and James Hetfield of Metallica, Dave Navarro and Perry Farrell of Jane's Addiction, singer-songwriter Joe Walsh, guitarist Nile Rodgers, rocker Courtney Love and Bush's Gavin Rossdale. Scores of fans gathered outside the cemetery during the service awaiting a public viewing of Cornell's grave site later Friday afternoon. "We had to be here. 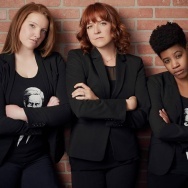 He was part of our generation," said 49-year-old Marcus Dubray, breaking into tears. He and his wife were visiting Los Angeles from Sacramento for her birthday when they heard about Cornell's service. "I was ready to go to Seattle" for the funeral, said fellow fan Alfredo Perez, 47. Melody Andrade brought her 4-year-old son Jude to memorialize the Seattle rocker. The pair wore matching T-shirts that read, "Say Hello 2 Heaven," the title of a Temple of the Dog song Cornell wrote. "I feel like this is just as big as the death of Elvis or John Lennon. 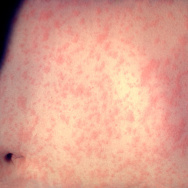 That's why I had to bring my son," Andrade said. 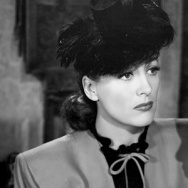 "There will never be another. He's a modern day Freddie Mercury. I needed some closure on this." Fans brought flowers and notes and sang Cornell's songs together. 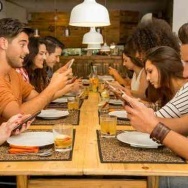 Some listened to his music aloud on their phones. One fan brought a guitar and strummed Soundgarden songs. Many left heartfelt notes, guitar picks and one woman left roses wrapped in a flannel shirt, an emblem of the grunge era. Cornell, 52, was pronounced dead May 18 after he was found unresponsive in a Detroit hotel room hours after performing a concert with Soundgarden. Coroner's officials said preliminary autopsy results show the singer hanged himself, but full toxicology results remain pending. The singer's family has disputed the findings and claim Cornell may have taken more of an anti-anxiety drug than he was prescribed. Cornell was a leading voice of the grunge movement in the 1990s. Besides Soundgarden, he scored hits as a solo artist and with bands Temple of the Dog and Audioslave.